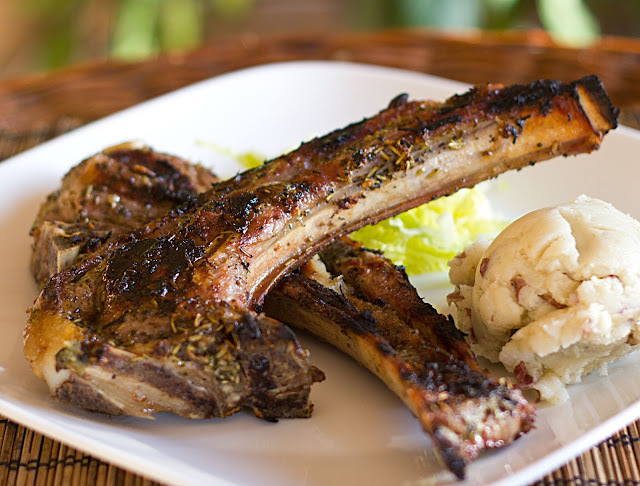 Here's another one of the simple yet flavorful lamb chops recipes. It is incredible how a bunch herbs and garlic can enhance the taste of lamb. try to marinate overnight as the acid helps tenderize the meat. 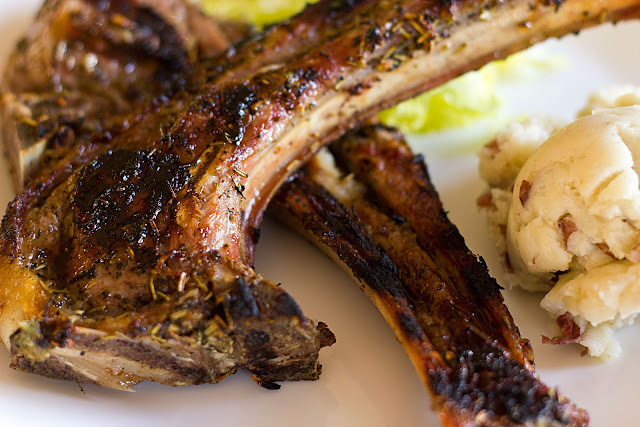 The refreshing pineapple salsa and the crisp smashed potatoes make a perfect accompaniment for the rosemary lamb. 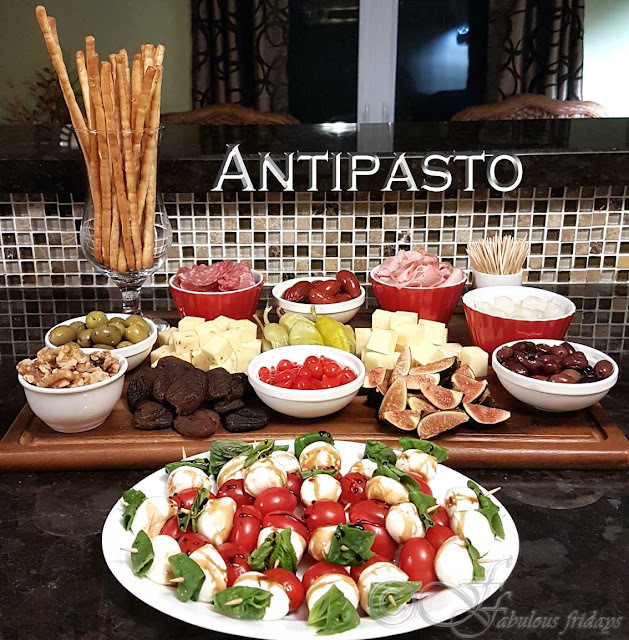 Medium bodied red wines that are soft and earthy pair very well with this meal. Enjoy this incredible summer. Happy grilling you guys. 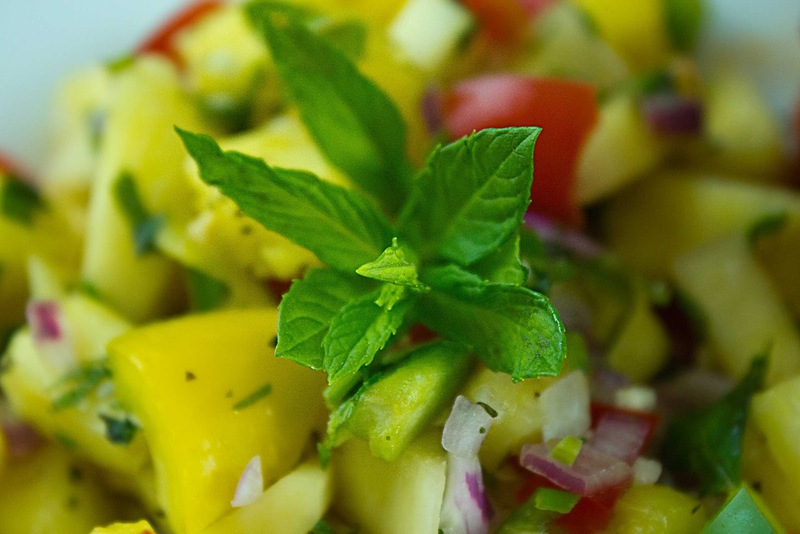 Combine all ingredients for the marinade in a small bowl. Place chops in a large glass container and pour the marinade over them. Turn the chops repeatedly to coat well. Cover and refrigerate for 4 to 12 hours, preferably overnight. Remove chops from fridge and allow to come to room temperature. Preheat grill for medium-high heat. Remove chops from marinade and place on a lightly oiled grill rack. Cook for 8 minutes on each side for a medium well-cooked level. Remove from heat, allow to rest for 3-5 minutes, and serve with smashed potatoes and pineapple salsa. Boil the potatoes along with the skin for 15-20 minutes until tender. Drain and place them on a baking sheet. Using a potato masher or the palm of your hand press the potatoes flat. Brush them with 1 tbsp butter. Combine all the other ingredients and sprinkle half the mixture over the potatoes. Bake at 400F for 15 minutes. Turn the potatoes over, brush with the remaining butter and sprinkle the rest of the cheese mixture over them. bake for another 15 minutes. garnish with parsley. serve hot and crisp.